Hey there! I have just set up a new blog aggregator and Masonic information site at www.kingsolomonslodge.org where I am combining together RSS and Atom feeds from various blogs written by Masons or about Freemasonry. I hope this is useful. If you would like to recommend a feed to be added, please post it as a comment to this post and I will try to get it put in the listings. No blogs comprised of Anti-Masonic rhetoric will be included. These blogs should often contains posts about subjects of Masonic interest. I'm not so concerned about "regularity" in the listings here, as Masons can make those determinations according to their own local processes. I like the scraper you've setup... Very handy tool. You should go to Google news and setup scrapings for "Masonic" and "Freemasonry" too so we will get updates from any news sources. Keep up the good work, I'll add the site to my blogroll next time I update the template. What is with the lines that scratch through some posts? Ken, thanks for ths tips. I'll go check out what Google might be able to do for us. The scratched out posts are the ones you've already read. (visited links) I thought that would be a better visual clue than just changing the color, since people often like to read up on everything new. Ken, I've now added a Google news feed into the front page under "Masonic News", thanks for this excellent idea! I just wanted to ask, are you scraping direct from my blog, or from Feedburner? If you could, would you please scape from Feedburner, it helps me keep stats. Ken, I am now scraping both blogs from Feedburner. Thanks for letting me know. Blog including Masonic posts in English from Europe. I really like the aggregator as well. But, one of the blogs listed doesn't seem to really be about Freemasonry. The "Modern Freemasonic Journal" seems to be almost entirely a rant against Christians. I'm not telling you how to run your site but, I'm not sure a site that is primarily about religion is really a Masonic blog given that Masons don't discuss religion in lodge and don't take sides for or against any particular religions as an organization. "... Masons don't discuss religion in lodge and don't take sides for or against any particular religions as an organization." I beg to differ. Freemasonry as an organization does not take sides for or against any religion (or political candidates). But, as an individual Mason, it is very nearly our duty to do so, as we are admonished to study the Volume of Sacred Law and live according to our own faith, we are also encouraged to be active in our communities and to vote if we live in a land where we are given that privilege. We most certainly should (or at least may) take a side FOR a good religion of our choosing (or for a political platform), as individual Masons, of course, and not as a corporate decision. Masonry also seems consistent in its stand for freedom in many ways. I believe our brother at Modern Freemasonic Journal has the right to freely express himself on these most important matters, outside of Lodge, of course. To the best of my knowledge, he is not raising these issues within his Lodge, and thus, Harmony is still able to prevail there. "1) I believe in the divinity of Jesus Christ, as the only incarnate son of God and author of my spiritual salvation." That sounds about as Christian as you can get. I think Brother Darren's views on Christianity are probably unique and divergant from the commonly accepted views. Perhaps he has been a little harsh in speaking towards certain Christian trends or groups, indeed, perhaps a little too harsh, but as a Christian, I think it is his also his right and duty to strive to perfect his own faith, and help others. It would be a little different if he was ranting against Muslims, or Buddhists, but since he shares a common spiritual turf with the rest of Christianity, it only seems the most human and natural thing for him to be seeking to "protect his territory" in that way. I love to read the views of all my Masonic brethren. Albert Pike, of old, had much to say regarding Politics, bordering on partisan, another subject forbidden in Lodge, and yet several of his books remain defacto Masonic classics. Rather than use censorship, that cursed beast of a policy, to remove Darren's voice, perhaps it would be better to approach him as a Brother, and see if he could recognize that his words have injured one of his fellows. I bet he would readily apologize for the harm, and gladly be more careful in his future statements to better respect the beliefs of others while still being able to strongly proclaim his own. Regarding the typical subjects Darren has been posting on, I see them as typical of the Masonic interests of our current time period. With popular fiction like The Da Vinci Code, and National Treasure fresh on our minds, Masonry has become linked at least in a romantic way to divergant or alternate views of history and particularly religious history. We have always been the subject of conspiracy theories by anyone who spends decent time weaving them, and I see no reason why an individual Mason would not want to speak up on the subjects to state his own views on these types of subjects, either for or against, rather than let everyone else speak in his behalf as he watches in silence. I think Christian Master Masons have an advantage perhaps over some other Christian men, because of our general open-mindedness and natural attraction towards history... we may serve some small purpose in helping to integrate new and future discoveries regarding history into the theology of our various faiths, and help prevent strict dogmatism from leading those faith systems down a road to stagnant irrelevancy and ultimate destruction. Whoa, I got weird there. ;-) But, what I'm saying is: Our voices need to be heard, and we especially should respect our own Brethren and be willing to listen to them. This does not mean we need to agree with everything they say, but by listening, we should be able to expect the same courtesy in return from them. Given that your own blog states that blogs seem to be over-balanced towards irregular Masons, why do you list all them in your blog lists? Doesn't that contribute to the misunderstanding you are concerned about? Thanks for the links folks, I'll look them over. As to Mr. Anonymous's comment, I am trying to list Masonic-themed content on the web in my blog listings. I have chosen not to bias my listing based on regularity because I have no clean-cut way to verify each individual... For example (fictional) "Joe's Masonic Musings" would not tell me anything about what affiliations this person has, unless I read in detail the postings on their blog and then make assumptions that they are telling the truth, etc. I have instead decided to list everything that seems to have a decent amount of Masonic content thus reflecting the balance that exists on the Internet as a whole. Putting myself in a position of an index rather than being a censor. I don't want to skew the results myself, but in this post I am just calling on people out there to actually weigh in so that the results on the whole Internet become more balanced. My goal is to have at least 50% content specific to Freemasonry and hopefully the rest will be interesting to Masons. I only found one similar blog to my own when I was originally thinking of becoming a Mason and I think my story will be interesting for many. Jeff, pleased to read you! How about to consider to aggregate to "King Solomon's Lodge" a masonic blog in PORTUGUESE? IT's title is A PARTIR PEDRA (which means "cutting the stone"), its adres is a-partir-pedra.blogspot.com and it written by Master Masons belonging to the Portuguese Lodge Mestre Affonso Domingues. I have thrown my hat into the Masonic blog ring. I am a master mason in Kansas. If you would include it in your aggregator, I would be grateful. I would like for my blog to be included, if possible. I hope that this e-mail finds you in the best of health and spirits. May G-d's peace and blessing be upon you and your family. Travel well and Light. Thank you for all the blog suggestions. I have added all to the KSL Aggregator, with the exception of excommunicate.net which I did not find sufficiently Masonic or having frequent enough Masonic topics to include, but I did include it on the Zebby Esoterica Aggregator where I think it fits in quite nicely. I would love to be included if you think my content is relevent. I registered "MasonicTips.com" and I have it pointing to a section on my JimsTips.com site where I also post lots of tips related to topics that interest me. I'm not yet a mason, but I recently submitted my petition. I now sitting back and spending "a time of waiting and patience" while the process rolls forward. I initially set up MasonicTips.com to be a blog of my experience through freemasonry, but eventually, I want to expand it to include pointers to online and offline masonic information and resources and include tips that I may feel relevent to freemasonry. It's just a spot to record my thoughts about freemasonry as I learn the craft. I'd love to be added to your blogosphere! Thanks! Please include my site in your roll. Also, would there be a way to post the html for your button codes? Hi there, please take a look at my blog, and perhaps add it to your aggregator, if you think it worthwhile. My blog, Freemasonry Resources has move to freemasonryresourcesblog.blogspot.com. I would like to throw my Masonic Blog into the mix. I have lots of kinks to work-out, but I hope to be added to your list. Besides, one day I want to be as cool as you are. I also have an ATOM feed located at http://www.resurrexion.com/journal/atom.xml if the feedburner link doesn't work for some reason. A blog i came across...might want to add to aggregator. It is by bro christian ratliff. thanks and more power. Currently blogging about masonic travels and personal growth; but there's also a log of my journey into freemasonry. Please consider my blog for inclusion. It does not have a masonic name but I do try and tune Masonry in with my profession of Architecture. My name is Duane Mathes, and I'm a Master Mason (doing Scottish Rite next week, yahoo! ), Senior Deacon of Sun Moon Lodge #13 here in Taiwan. I've recently started a blog about personal development and becoming a better person, and although I've only written a handful of posts I will be covering a number of Masonic topics as well, especially as a go through my journey as a Mason. We have a very small lodge here in Taichung, so progression through ranks happens pretty quickly, and I'm going to be Master of the lodge in two years. I think that will give me a wide amount of topics to cover. In any case, I am hoping that although not every one of my posts will be Masonic in nature, I can still be considered for inclusion in your Masonic Blogs list. If it were to have a title, it would be "MySpace The Square and Compasses Masonic Blog"
Thank you for putting together this weblog aggregator--it is really great. Purpose: The fomenting of an online revolution that will help Freemasonry come to refocus on inner development and esoteric growth. please and thank you. I'll put yours up regardless. Does your lodge have a website? If not take a look at www.lodgespace.org - If you can type, you can create and manage your own website with ease. Running your Lodge means keeping members in touch with all sorts of information: from summonses and minutes to social events and member contact details. This can now all be accomplished more efficiently and cost-effectively by having a website than by using the post. So LodgeSpace has been created to make building a website for your Lodge quick and easy - and all for just £99. Best of all, you can set your LodgeSpace up in minutes, then add information to each individual page when time allows - or get the relevant Lodge members to keep their own pages updated. I would love it if you would add my blog and website to the webring. Please add my masonic blog. Please list it if you feel it is appropriate. Please change the link – and thank you for this great service! Greetings from The Grand Lodge of All England at York. Here is our official blog site. Here's another blog that frequently has posts of Masonic interest. Hello Brother. I really enjoy visiting King Solomon's Lodge. I have just started a blog and would appreciate it if you considered adding this to your feed. Thank you. We are a thriving collective of active, involved, regular and proud North American Freemasons who have gathered together to build and advance our ancient Craft on the internet. Thank you for your consideration. Nice work here, Brother. How can I get my blog included on the King Solomon's Lodge Aggregator? Just started blog to try to tie our Lodges in northern Michigan together and bring us into this century. Great resources on your end. This blog is designed to discuss different study guides, and historical literature that provides the foundation for our Fraternity. Even if you don't list my blog, please give me permission to list your banner. re: www.TheSanctumSanctorum.com and our forum upgrade. We're getting a great platform for our forum, and will be incorporating our blog as rss feed into it, as well as yours and a few others. Therefore no, we are continuing to publish our new blog and have had some nice articles so far. We have some nice surprises in store as well, so stick around. I'm just about to post tonight in fact. We've also had tremendous growth as well as quality conversations in our new private forum. You're of course welcome to stop by. Give us a few days to work out the new bugs, although I've been on today and it's great! I'm excited. So as you can see we are a group of busy little bees. Let me know what you think. I would enjoy being listed on your site! My blog is not very active, but would like more viewers to inspire me! Please feel free to list my blog. I am a Mason, residing in Iraq. We have masonry here. Hi I have a Masonic blog I have just started. I would be honored if you accept it. Hey Brother! Love the idea of promoting Masonic blogs. I'd like to include my blog, http://thaifreemason.blogspot.com. It's basically, news, events and commentary on the Masonic scene in Thailand. Thailand offers the world's most diverse Masonic community. We have lodges from six different Grand Lodges working in three languages. In addition to information on stated meetings, I also try to alert my readers of special events. Occassionally I pontificate on issues of great importance (at least from my opinion). So, please check it out. It has been quietly around for a number of months. It's the Weblog of an italian masonic Lodge. Thank you for your help to add the site to your aggregator. A Brother mentioned this site to me. It looks realy good. The 3 Ruffians would be very excited indeed if you would add our blog to your Lodge. We are already avid readers! I hope you will find us to be a welcome addition. We promise not to bring Tyler cookies inside. hello. Could you please add a link to my blog:freemason-t? Could you also add www.freemason-t.com? That is where you can find original Masonic apparel and gifts. We'd very much like to be added to your excellent resource here! Many thanks for continued your work on this incredible resource. I've created a new masonic blog. It wants to offer a discussion point to brothers of differents brotherhoods. Go on add it you know you want to! I'm a little confused as to how to go about getting my blog added so I'll just submit it here. I'm starting my journey into freemasonry and would like my blog to be included in your listings. I appreciate you for adding The Masonic Line (http://masonicline.blogspot.com/)to your listing and for your recent comment to my "Ballot" article. How do I go about having the comments from my site added to your "Recent Comments" list at King Solomon's Lodge? There's a real problem now that you've changed your click-on-a-page command from your site. If I click on a Masonic site which requires word verification to post a comment, the image with the letters I require to type to leave a comment do not appear. That means I have to go to the site directly if I want to post a comment. Some sites have a sound icon, but it's useless if I'm listening to something or recording. Ditto to what Justa Mason said. Also one of my favorite things to do was to sit on my porch at night smoking a cigar and going to KSL on my blackberry and reading the blogs. Since you changed to your new format I cannot do this! Even when signed in I cannot click on the links to the blogs, it just returns me to the list. Jeff, you have the best masonic aggregator around but its now less functional to me. Help Help. My readership has gone up by about 15 people daily since I made the change. I'm not going to entirely revert what I've done, because I also hooked into it in order to make the FEEDJIT map and popular pages list work on the main page. But, I have added two features that I hope will work around your problem. The first is a small "X" link in the upper right corner of the frame. If you click this, it should eliminate the frame. It was showing up, but wasn't working last week for logged-in users due to a coding mistake I made, but it is fixed now. The second feature is this: Log in, and in the upper right corner you now have a "My Account" link. Click that, and you can disable the frame for your account. Please do change it across if consider me worthy!! As a side note, I know we had a lot of contact earlier in the year, with a bit of blog and e-mail tennis - so do get back in touch! I guess my blog would fit into your Directory. Will place your tag onto it right away. Great find, I am still surfing on your Site, thats just toooooo much Information for today. Happy to see that there is a site like this. I think my link doesn't work. Will you add my blog to your list? http://www.masonry.us.com or http://www.masonry.us.com/atom.xml works as well. I think I'm too dumb to figure out what my comment feed is. But the King Solomon banner has been displayed at http://masonicline.blogspot.com/ since very soon after its creation. Thanks. I will put you in my Blogroll once listed. Jeff, sorry this wasn't done earlier. I've now put the logo on my page. Hi, Jeff. Let me know if you're getting my comment feed okay. I've put the KS logo on my blog. As per your request, I'd be happy for you to add my blog. We would be most grateful if you would link to our Blog. This Blog is for the serious Masonic researcher. It contains articles that are designed to make you think. I would like our lodge website to be present at King Solomon´s Lodge Aggregator. I want to add the Blog ARCO YORK RITE OF REAL in your aggregator. I have already written several days ago, but without result. There sending addresses. new communication. I want to add the Blog ARCO YORK RITE OF REAL in your aggregator. I have already written several days ago, but without result. There sending addresses. new communication. I want to add the Blog Dallo Zenith al Nadir in your aggregator. I have already written several days ago, but without result. There sending addresses. Please consider Masonic Matrix - Masonic Lodge Directory as an addition to your links section. Using our Global Mapping API you can locate virtually every Masonic Lodge within the United States and Canada, as well as Grand Lodges internationally. I am new to blogging, don't know all the terms. I have started a blog to chart my year in the Chair of my Lodge. I would like to add this to your list. I have revised my blog and, although not specific to Freemasonry, it deals with a subject of interest to Freemasons. Brethren, for your consideration: The Magpie Mason. A running collection of reportage, reviews and ruminations updated frequently. Jeff, I hate to use this comment to contact you about the site, but I could not find any other way to contact you. Anyway, you write at the top of the Home page that you "have added the ability to select your language to view only blogs and news in the chosen language." I cannot find any settings, buttons, links, or otherwise that let me filter on a specific language. All posts are listed with a language tag in front which does help, but from the way you describe the new feature, I figured that I could filter on a specific language. Would you mind adding our Lodge's blog to your aggregator? It can be found at http://mtrushmorelodge.blogspot.com. I'd like to submit http://gatecity2.blogspot.com/ for consideration. Would you kindly consider adding my blog to your site? Masonic Network is the internet's first Mason only social networking site. I would first like to say I love what you are doing here. I am the webmaster of Vulcan Lodge in AL. and was hoping you would consider aggregating or feed. This blog is only a matter of days old and could do with hthe benfit of comments and posts. I would like you to consider my blog. I have really enjoyed reading the blogs post at kingsolomonslodge. It is nice to have a collection of blog to go to. I would like for you to consider my blog. Can you add my blog please! Thanks in advance and for your very useful service. I present here my blog and forum about freemasonry. Great idea. Please consider our blog http://anti-masonry.info/.Keep up the good work. I am a MM and SS at Multnomah Lodge No. 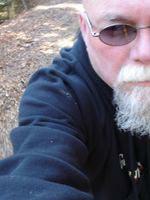 1 AF&AM of Oregon and would like to have my blog added to your aggregator. Would you please consider adding my blog to your website. Thank you. Please add my blog to the listing. new blog from a soon-to-be-initiated (Feb 18) guy in central Iowa. I'd like to submit my new blog for consideration. My goal is to post something once or twice per week. There are a lot of stock Masonic rings for sale all over the internet, however, there are very few places to purchase a truly Rare Masonic Ring that has been handmade with encrusted precious gemstones. The Freemasons were artisans and they would appreciate the intricate designs of these Custom Masonic Rings. www.arslatomorum.com - please readd me. Please include the new Universal Freemasonry blog in King Solomons list of blogs. Hey I started a blog for new Masons at newfreemasons.com please add me to your Aggregator. I hope this is useful. If you would like to recommend a feed to be added, please post it as a comment to this post and I will try to get it put in the listings. My Blog about My adventures in Masonry in Chicago. I know I haven't posted much lately, but did my blog completely fall off your aggregate? Note that I used to be on Blogger, but last year I switched to my own hosting. Perhaps that's when it stopped showing up? I would like my blog considered for the aggregator. It is a blog that details my experience from learning about freemasonry to my journey to the decision to petition, and will continue after my initiation in June of this year. The scrapper you set up looks great. And I agree with you Jeff, I also think that mason's has never discussed religion more so on taking sides. These plugins are great gift for both you and your visitors as these can increase traffic and rank, but you should watch out for spam.